We know we should lower our meat intake. But how will you get your protein? No worries: here are the best high-protein vegetables for a healthy diet! 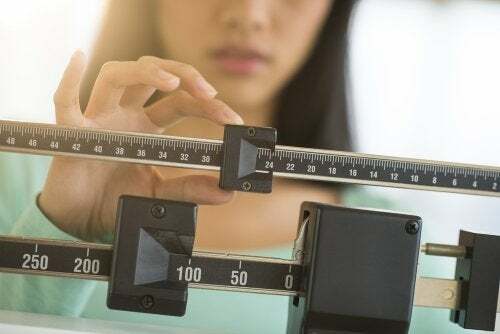 Losing weight is a challenge many people face. Even though the number on a scale doesn’t define you, it can be a good indicator of your health. Eating a balanced diet is the first step towards a healthier you, an in this quest, lowering your meat intake is key. But how will you get your protein? Worry no more: here are te best high-protein vegetables that will keep you nourished and help you lose weight. Getting rid of extra weight is a process that requires consistency and patience. Anything claiming to be the “fix all” is probably a scam or dangerous to your health. Before you start, it’s better if you make a visit to the doctor to assess your physical condition. 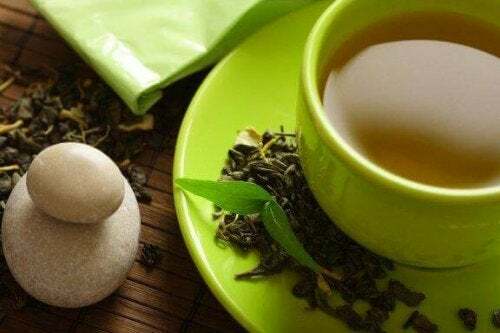 Then, they should help you establish a daily routine oriented at weight loss. It’s good to keep your own health in mind and start by having a balanced diet. This should include a healthy mix of lean protein, fruits, and vegetables that will keep you full for longer. Protein intake is key when it comes to a healthy weight loss plan. When trying to lose weight, it’s common to eat a diet with a caloric deficit. This means that you will be burning more calories than what you are eating. For most people, a diet with a caloric deficit implies both increased exercise and diminished caloric intake. If you are eating foods with little nutrients, this means you will get hungrier faster. 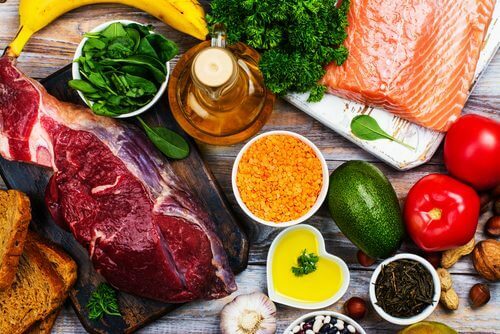 Enter the protein: proteins are complex molecules that your body takes longer to metabolize. When your body is busy metabolizing food, it isn’t hungry. Thus, if you eat more protein, your body will be fuller for longer, and you won’t feel hungry before your next appointed meal. On the other hand, protein also stabilizes your blood sugar. 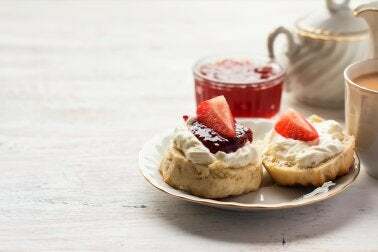 When you have no spikes in your sugar levels, you are less likely to get those terrible cravings so common when just starting your fitness journey. Finally, when you subject your body to a caloric deficit, you need to properly nourish it. If you eat low-quality food (ie. simple carbohydrates, sweets, alcohol…) your exercise plan will start tapping on your body’s reserves, both fat AND muscle. To keep the muscle while getting rid of the fat, you need to follow a strength training plan and increase your protein intake. When you increase your muscle mass, your body is able to burn more fat for a longer time. On the other hand, your body spends more energy when digesting protein-rich foods, so your metabolism will get faster. This means that having more protein has a snowball effect of positive results for your weight loss! Although protein has many positive effects, animal products have a higher calorie count, so you should only ingest them in moderation. On the other hand, you really can’t eat too many veggies: the key is having a variety. Spinach is one of the leafy green high-protein vegetables we can eat which has the most nutrients. It is one of the most high-protein vegetables and contains multiple essential amino acids. 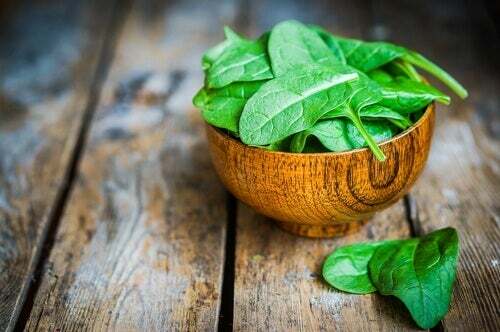 Furthermore, it contains considerable amounts of folate, manganese, magnesium, iron, potassium, calcium, vitamin A and vitamin C.
In addition to its high protein content, spinach contains compounds with great anti-oxidant potential, which can also reduce inflammation. We suggest the following: a salad of spinach, strawberries, and nuts. Watercress is a cruciferous plant (like broccoli or Brussels sprouts) which has a high protein content. 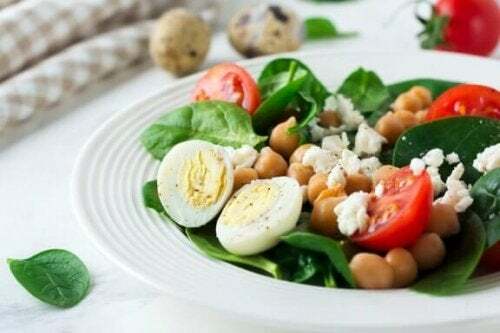 It also has a good amount of minerals (calcium, manganese, and potassium), and vitamins A, B, and C.
However, it is important to know that if you boil watercress in water it will lose all its antioxidant potential. Therefore, try to eat it raw in a salad. Have you tried alfalfa sprouts before? They add a unique touch to dishes and añthough they barely contain any calories, they do boast a lot of nutrients. Alfalfa is rich in isoflavonoids, which help stabilize your hormonal levels and keep a healthy gut. On the other hand, alfalfa is also rich in vitamins B, C and K, and minerals such as iron, magnesium, phosphorus, zinc, and copper. Something that will be interesting to everyone, is that alfalfa sprouts are very good for reducing bad cholesterol (LDL), for relieving the menopause symptoms, and for preventing osteoporosis. You’ll love Chinese cabbage. 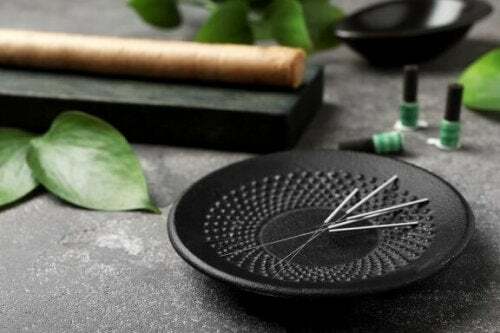 And not only can it help you lose weight in a healthy way, but it also offers a tasty and original touch to all dishes. 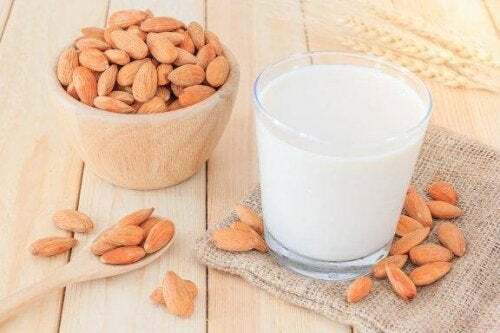 It contains a great amount of protein, as well as calcium, potassium, manganese, iron and vitamins A, C, and K.
Furthermore, thanks to its anti-oxidant properties, it can fight different types of cancer. Asparagus is well known for containing a lot of nutrients and being one of the best high-protein vegetables widely available. For example, with 134g of asparagus, you get an average of 2.9 g of protein. 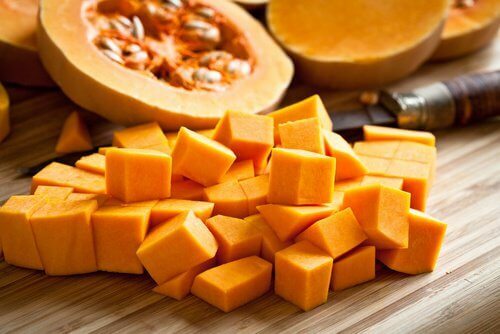 It’s also an excellent source of vitamins A, B, K, as well as copper, manganese, phosphorus, and magnesium. 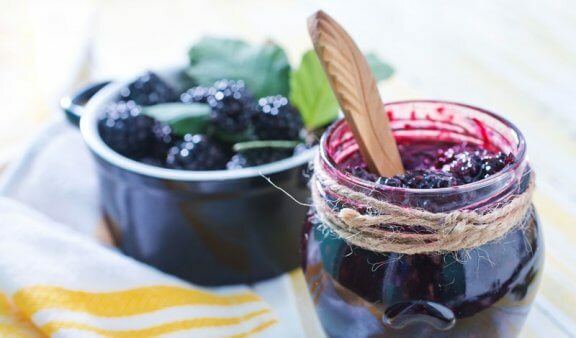 Something else which stands out is its content of fructooligosaccharides (FOS), which work as a prebiotic to stimulate the growth of friendly bacteria in our intestines. 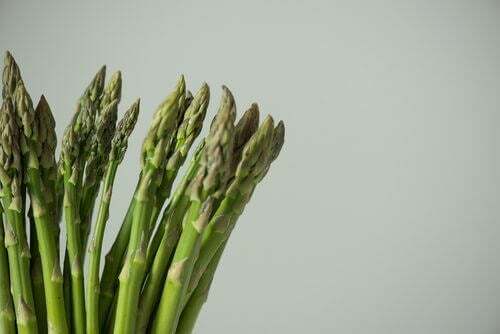 You can prepare your asparagus in the oven, under the grill, or boil or steam it. However you do it, it’s delicious and healthy. This high-protein vegetable is already a staple in most homes. Nevertheless, it never hurts to eat it with your health in mind! 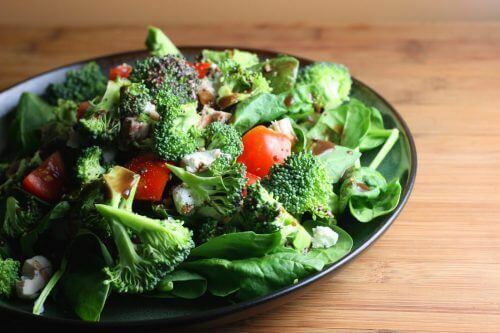 You can enjoy broccoli raw or cooked, in a sauce or solo. 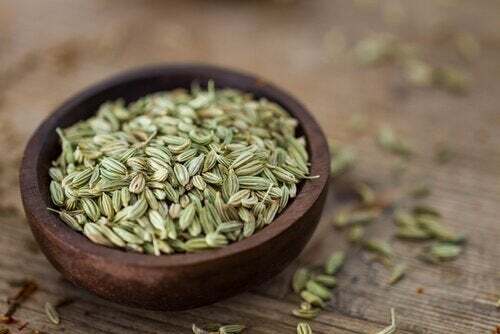 It has barely any calories, makes you feel fuller, and provides you with high amounts of plant compounds and flavonoids, such as kaempferol. On the other hand, steamed broccoli is great for liver health: its compounds might help fight liver cancer and non-alcoholic fatty-liver syndrome. 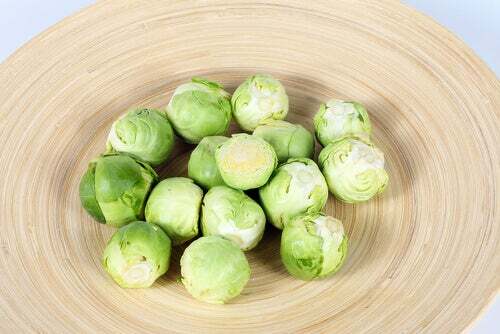 Brussels sprouts are great for losing weight. They are a good source of protein, fiber, and vitamins. On the other hand, these high-protein vegetables take care of your intestines. As a cruciferous vegetable, Brussel sprouts have been found to help to eliminate harmful bacteria and promote a healthier gut. For cooking, you have a variety of options: you can cook them in the oven or grill them. They are an ideal side to any dish. You should try to add these veggies to have a healthy and balanced diet. Whether you’re trying to lose weight or just want to eat healthier, these high-protein vegetables are a great addition to any meal plan. Add a bit of exercise and you’ll have a healthy lifestyle in a pinch! You can start today: losing weight in a healthy way is possible! Li, F., Hullar, M. A., Schwarz, Y., & Lampe, J. W. (2009). Human gut bacterial communities are altered by addition of cruciferous vegetables to a controlled fruit-and vegetable-free diet. The Journal of nutrition, 139(9), 1685-1691. SMITH, H., MARTELL, S., SUN-WATERHOUSE, D., LISTER, C., & SUTHERLAND, J. (2010). The effect of dietary vegetable and fruit fibres on gut health in healthy. In Proceeding of the Nutrition Society of New Zealand (Vol. 34, p. 24). Manchali, S., Murthy, K. N. C., & Patil, B. S. (2012). Crucial facts about health benefits of popular cruciferous vegetables. Journal of Functional Foods, 4(1), 94-106. Steinmetz, K. A., Kushi, L. H., Bostick, R. M., Folsom, A. R., & Potter, J. D. (1994). Vegetables, fruit, and colon cancer in the lowa women’s health study. American journal of epidemiology, 139(1), 1-15. Friedman, M., & Brandon, D. L. (2001). Nutritional and health benefits of soy proteins. Journal of Agricultural and Food Chemistry, 49(3), 1069-1086. Plaza, L., de Ancos, B., & Cano, P. M. (2003). Nutritional and health-related compounds in sprouts and seeds of soybean (Glycine max), wheat (Triticum aestivum. L) and alfalfa (Medicago sativa) treated by a new drying method. European Food Research and Technology, 216(2), 138-144. McCue, P., & Shetty, K. (2004). Health benefits of soy isoflavonoids and strategies for enhancement: a review. Critical reviews in food science and nutrition, 44(5), 361-367.